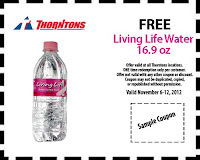 Get a FREE 16.9oz Bottle of Living Life Water at Thorntons. How about grabbing a FREE water on your way to vote today? 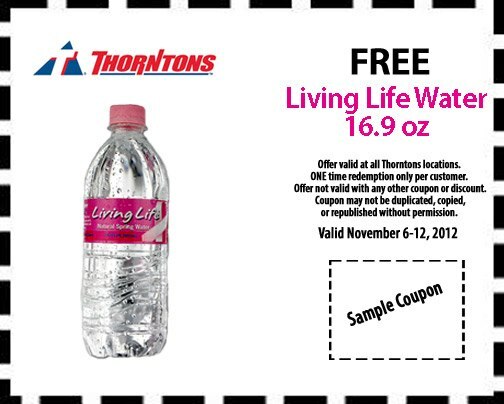 Simply visit a Thorntons location near you and request one of the multiple free water bottles so that you can enjoy it in the long line today or print out the coupon and take it to your local Thorntons for a free water bottle. This offer is not valid with any other coupon or discount. Also this freebie is only available once, there is a limit of one per customer.